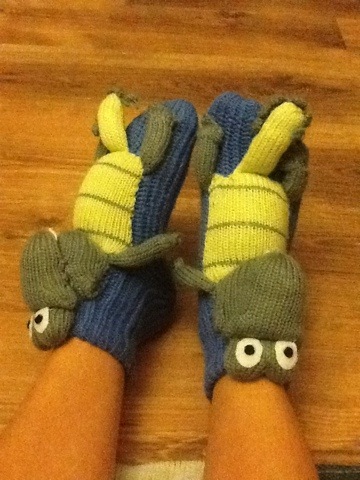 Aren’t they just the stupidest things you’ve ever seen? 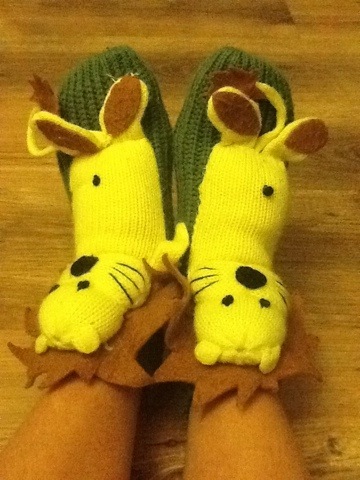 How can you be in a bad mood with ridiculous stuffed lions or alligators on your feet? How great is it that the lions have bellybuttons?They are warm, too. I’ll have to protect them from Lokii the fabric-eater, but I think they need to come out of the drawer and smile smarmily up at me this winter. Kent always buys me anything goofy he thinks will make me smile. Gotta love a man who loves a goofy woman.